Watching season 3 eagerly awaiting season 4(and 5… for that matter) my wife and I are real fans. Wondering if Season 4 will be based on Connelly’s books also and is so, which ones? I’ve enjoyed rereading the Bosch series and especially look forward to seeing the superb cast bring the characters to life! My husband and I love Bosch. We binge watch each season as soon as they are available. So happy to hear there will be a season 4. Keep them coming! Loved seasons 1, 2 and 3.. Can’t wait for Season 4!!! This is a great shoe! My husband and I watch two episodes a night and are so happy to hear there will be a Season 4! Keeping the show going! Michael Connelly has written lots of super Bosch books! I just finished watching ALL 10 episodes in a row of Bosch season THREE (3). IT was like watching a GREAT 10 hour movie. I did the same thing when I watched seasons 1 and 2. Great casting, actors, plot, story, locations, filming, and on and on and on. Better than Bourne, 007. This show is actually that good! I worked at 4 major studios, and this is production EXCELLENCE! This is the best show!!!! Love the cast!!! Don’t cancel it like regular tv does to a viewer when they starting like a show. Great show. We spent last evening binge watching the last 9 episodes of season 3. The last time we did that was with House of Cards. We will now go thru withdraw waiting for season 4. Love the books and love the show. I hope they continue with this series as long as possible. I have been binge watching. I did not realize there was a program on the books until this week. Great. Love this show! I’ve seen seasons 1 & 2 several times. Waiting for seasons 3 & 4. 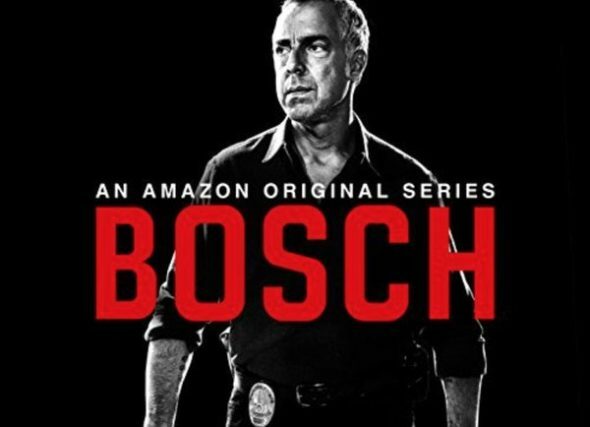 Welliver is not my idea of Bosch but will watch anyway. Just binged the first 2 season’s, brilliant. Love this show and I am so excited that I can finally watch it. Binged the first two season. Love all the books in the series. Great adult level detective show. Actors and writers outstanding.